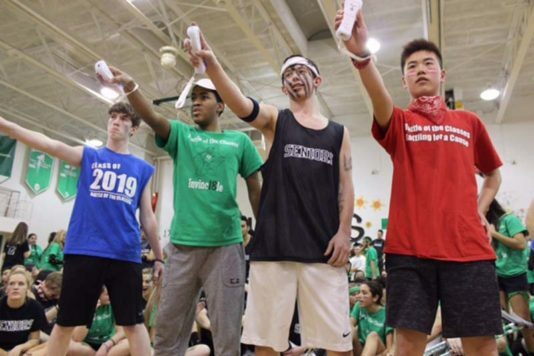 On Friday, February 3, the Carle Place Student Organization and Key Club hosted the 10th annual Battle of the Classes: Battling for a Cause. 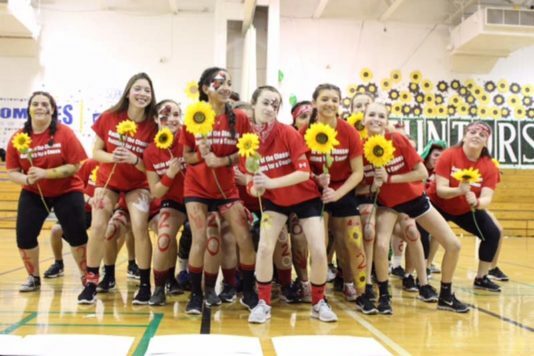 The donations raised from this year’s battle will be donated to the Colette Coyne Melanoma Awareness Campaign (CCMAC). 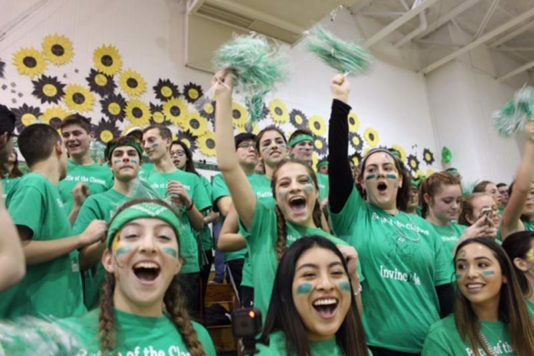 The campaign was founded by Colette Coyne in memory of her daughter, also named Colette, in order to increase public awareness regarding the dangers and causes of skin cancer in the early education of youth, families and the community. The life of Colette as well as Lynn DeVivo-Bao, sister of Carle Place MS/HS Athletic Director Chris Ceruti, and Leanne Kozak, a Carle Place graduate of the class of 2006, were honored through the event. 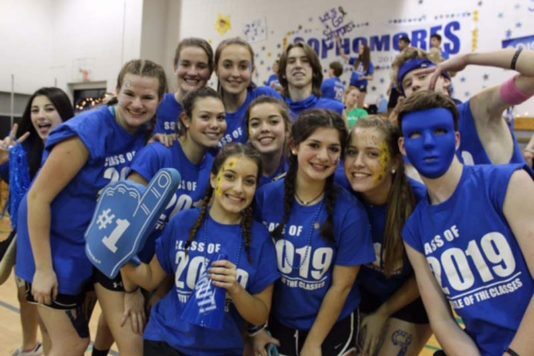 Congratulations to our top fundraiser, junior Gabriella Murray and to the class of 2017 for winning the 2017 Battle of the Classes; Battling for a Cause. 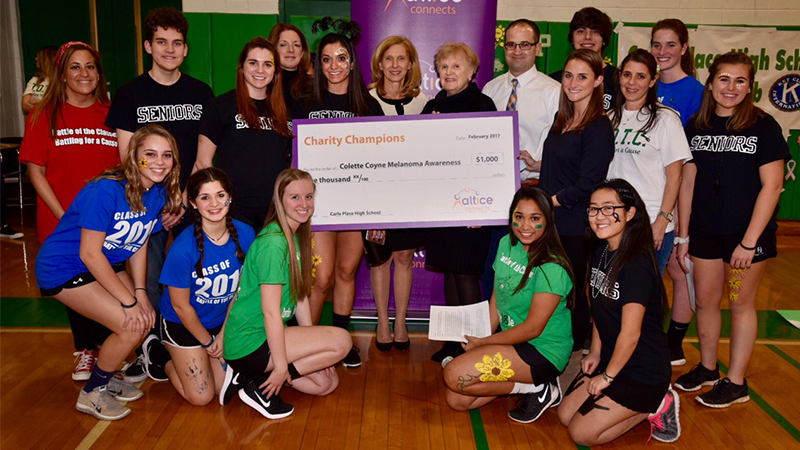 New York State Senator Elaine Phillips (left center), Colette Coyne, Co-Founder of CCMAC (right center), Assemblyman Ed Ra (sixth right), and Evlyn Tsimis (fourth left) of Altice Connects and Amanda Pugliese of News 12 Varsity (fourth right) and the outstanding students from Carle Place High School receiving a check for $1000.00 dollars donated by Altice Connect to support the CPHS Students Battle for a Cause.